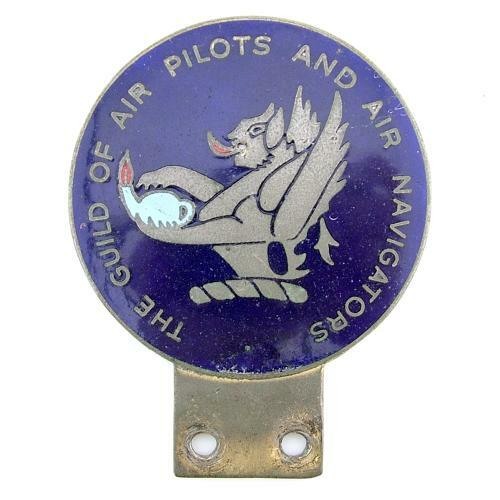 Car badge for The Guild Of Air Pilots And Air Navigators. Approximately 7.5 x 9.5cm. The Guild was formed in 1929 due to a growing unease at the lack of proper standards and the legal status of pilots in order to help establish the rules of the profession. This lovely car badge is manufactured in enamelled brass and probably dates from the 1930s. Some minor damage to the enamel at the 6 o'clock position (see photographs) that has been touched up otherwise in very good used condition. A rare badge. Stock code M22216.